'Traditional Christmas' is a double CD collection packed to the brim with timeless warmth and cheer, Golden Memories of Christmas Past. Welcome to a double CD collection packed to the brim with timeless cheer. 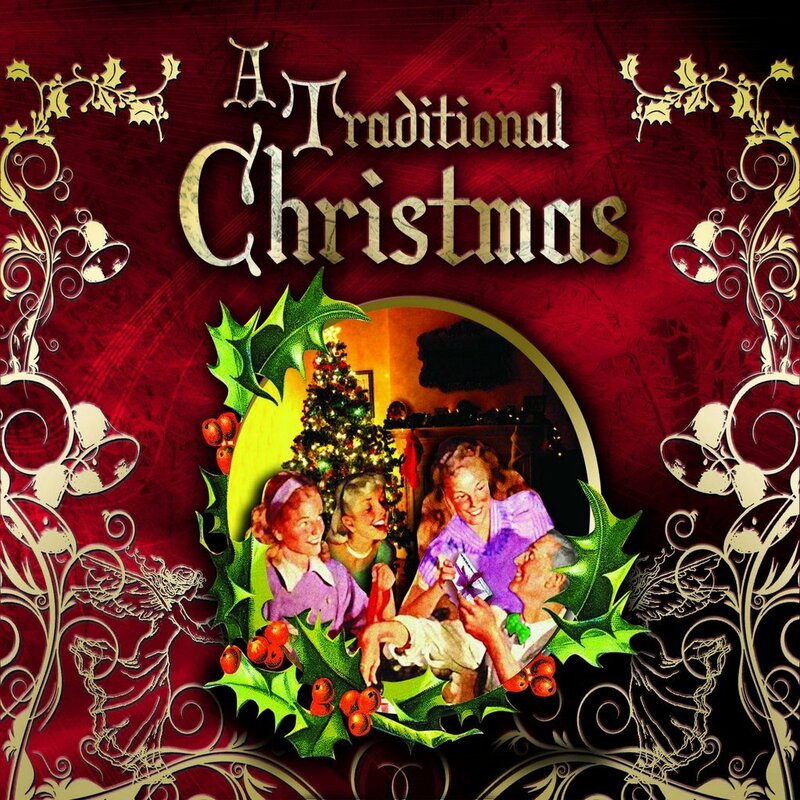 A unique selection of traditional and contemporary Christmas favourites: enjoy the best of both worlds as a CD of popular Christmas hits of yesteryear - performed by the original artists - accompanies a CD of traditional songs and carols. Remember how Bing Crosby's White Christmas filled us with dreams of glistening trees and sleigh bells in the snow, how Harry Belafonte's Mary's Boy Child drifted up the stairs as we emptied our stockings, how every year seemed to produce a new Christmas hit to sit alongside such classics as Have Yourself A Merry Little Christmas and Winter Wonderland? Our unique selection of original recordings capture the musical magic of Yuletides past - the days of Dickie Valentine's Christmas Alphabet and David Whitfield's Santo Natale, of Christmas Eve by the fireside and Kings College Choir on the Home Service. Gathered here are the songs we sang and the singers who made Christmas so special back in the 40s and 50s - soaring tenors of the calibre of Richard Tauber and John McCormack, the girl-next-door charm and angelic soprano of Deanna Durbin, the massed voices of Huddersfield Choral Society raising the rafters with For Unto Us A Child I Born. 13. Petula Clark - Where Did My Snowman Go?